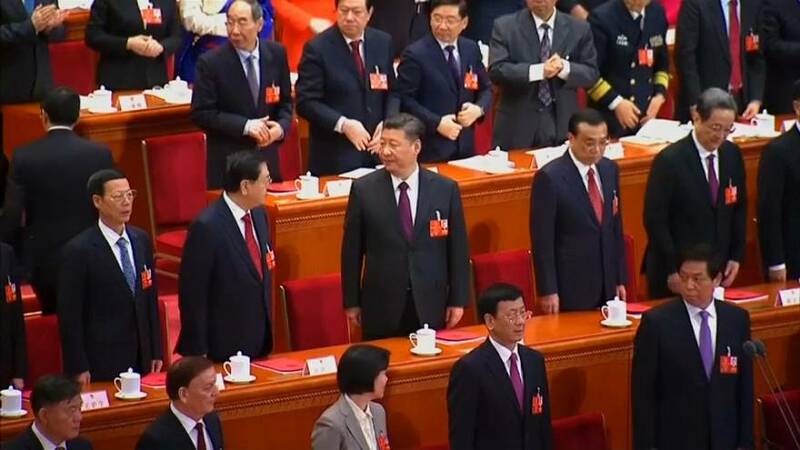 Chinese President Xi Jinping delivered a nationalistic speech at the closing of the People's National Congress saying China was ready "to fight bloody battles against its enemies". He reserved strong words for activists in Taiwan offering his toughest warning yet to the island claimed by China as its sacred territory. "In the face of the will of the people and the trend of history any actions and tricks to split China are doomed to failure and will meet with the people's condemnation," he said to applause from the delegates. "And the punishment of history." But Taiwan's Ministry of Foreign Affairs dismissed the comments saying Taiwan is a sovereign state and China was not entitled to make any "irresponsible remarks" about its diplomatic affairs. "As for what Mr Xi Jinping mentioned," said Andrew Lee, Ministry of Foreign Affairs spokesman. "I think we don't care what views any country has towards our foreign diplomacy work. Our efforts won't stop nor slack, we will continue." China's hostility towards Taiwan has risen since the 2016 election of President Tsai Ing-wen from the pro-independence Democratic Progressive Party.